when you receive the power bank the very first thought comes to your mind is how to charge this charger ?? 2. Now you can connect the micro USB cable to power bank and the standard USB end to the laptop or USB AC adaptor. 4. Charge your power bank 100% before using it for the first time. It will take almost 6 hours to 5000 mAh bank. 5. You will notice the indications when the bank gets fully charged it differs with every product. Check out the LED indicators on power banks these are the indicators showing you the amount of charge left in the power bank for charging the devices. You can charge you power bank any time as you want but charging unnecessary can lower the life of battery cells in the portable charger. Generally, the thumb rule to charge the power bank is when it is showing you last indicator blinking out of those 4 LED lights. You can connect your USB port to the laptop and charge power bank as you do while charging iphones or ipads or android devices. The speed of charging the power bank is considerably low when you are charging it through laptop USB ports against wall chargers. Using power ports can increase speed little bit. How much time is needed to fully charge the power bank ? 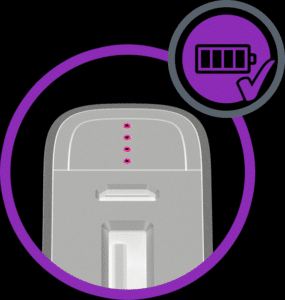 Generally, power banks are charged within few hours depending upon the capacity of battery cells inside. The 10,000 mAh power banks took around 5-6 hours to charge and 10 hours for 20000 mAh capacity power banks respectively. The manufacturers mention about the duration to keep charging on if not you will need to test it yourself. Charging the power bank with A-type USB and Type C USB shows different results and power banks needs to support ports. Fast charging is the latest technology many manufacturers are implementing in power banks which can charge devices with great speed. You will need to disconnect the charger as soon as you get to know it is fully charged. The are many brands like Anker, Eassyacc, Xiaomi which provides auto off technology to disconnect devices once fully charged. To charge your portable charger with great efficiency use wall charger every time. As wall chargers are designed to deliver the specific out put voltage and current ratings. 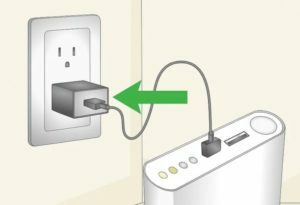 Avoid keeping the charger connect to wall charger overnight this can damage the cell battery life though there are auto disconnect functions in most of the power banks nowadays. Can we charge the power bank/ portable charger and mobile at the same time? Yes, we can use the same power bank which is being charged to charge the mobile or other devices this is called the Pass-through charging. Generally using the power bank while charging itself can drain the juice from cells and thus can ultimately damage the cells so try to use wall chargers whenever possible to charge devices and power banks separately at the same time. How to know if power bank is fully charged ? Once you have charged the power bank for considerable time simply push the button and see how many indicators are flashing. The indicators flash for 3-4 times once the button is pressed and show the amount left inside. Do we need fully charged power bank to charge the devices ? No, you can charge your devices with whatever charge left in power bank. Simply you can charge the device until and unless power bank stops charging it which means power bank is fully drained and nothing left inside so you will need to charge the power bank.